Ideal for mincing meats, nuts and vegetables. With a press dough attachment for pastries and a sausage attachment for filling sausages. With a press dough attachment for pastries and a sausage attachment for filling sausages. 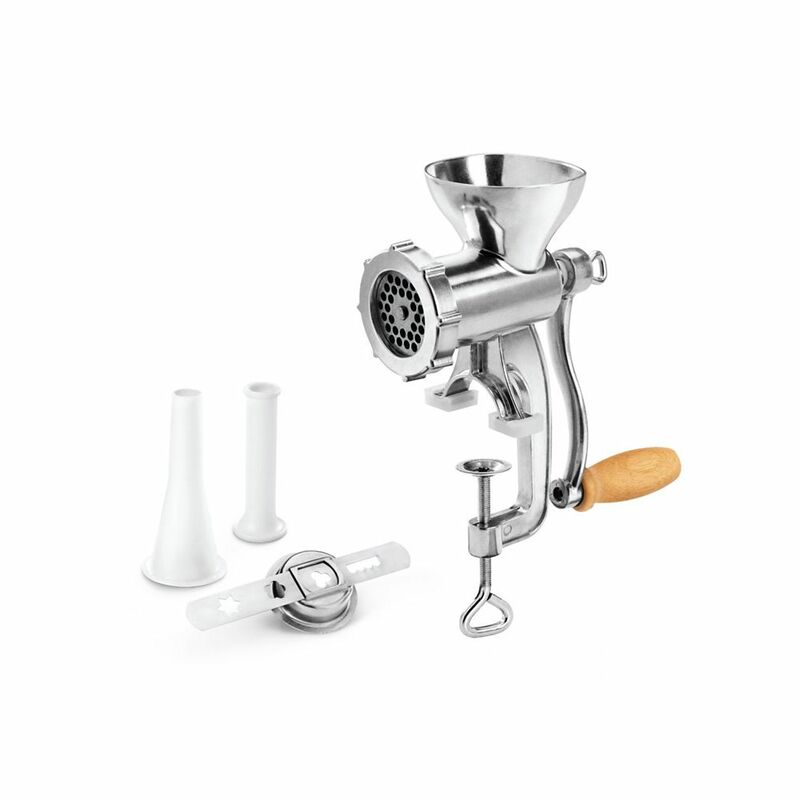 Jack Meat Mincer Counseltron series of professional kitchen gadgets and housewares. For professional chefs. The ultimate collection of main kitchen tools such as ladles, spoons, turners and skimmers; essential gadgets like peelers, can openers, corkscrews and graters to sophisticated utensils like tea spoons and serving sets. A complete assortment for every need at the table and in the kitchen.